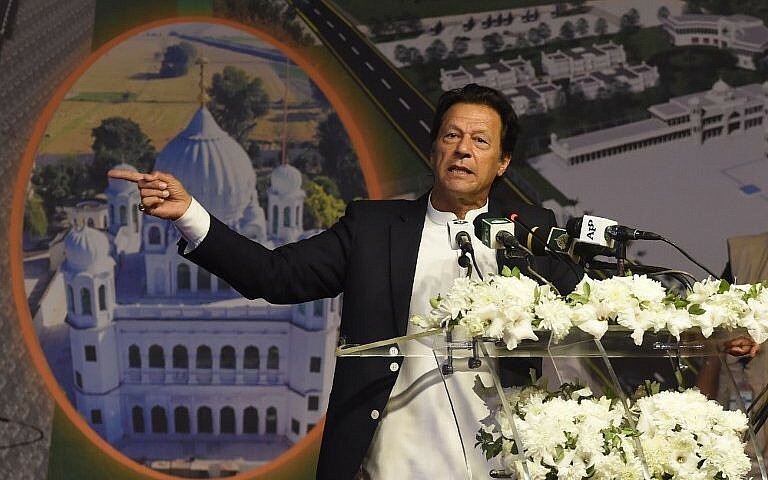 Shireen Mazari, a close aide of Pakistan Prime Minister Imran Khan, said Trump’s latest criticism of Pakistan should be a “lesson” to those Pakistani leaders who “appeased” America, especially after the 9/11 terror attacks. Pakistan Monday reacted angrily to Donald Trump’s latest tirade against it for not doing “a damn thing” for America in curbing terrorism, saying the US President “suffers conveniently from perpetual historic amnesia!” Human Rights Minister Shireen Mazari’s terse remarks came a day after President Trump defended his administration’s decision to stop hundreds of millions of dollars in military aid to Pakistan for not doing enough to curb terrorism and criticised Islamabad for offering a hideout to Al Qaeda chief Osama bin Laden in the garrison city of Abbottabad. The minister, known to be a hawk, in a series of tweets said that whether China or Iran, US policies of “containment and isolation” do not coincide with Pakistan’s strategic interests. Mazari, a close aide of Prime Minister Imran Khan, said Trump’s latest criticism of Pakistan should be a “lesson” to those Pakistani leaders who “appeased” America, especially after the 9/11 terror attacks. “Trump’s tirade against Pak & his claim that that Pak does not do ‘a damn thing’ for the US shd be a lesson for those Pak ldrs who kept appeasing the US esp after 9/11! The renditions; the loss of Pak lives in US WoT (war on terrorism); the free space for Raymond Davis & other operatives; etc etc,” she tweeted. “The illegal killings by drone attacks; the list is endless but once again history shows appeasement does not work. Also, whether China or Iran, US policies of containment & isolation do not coincide with Pak strategic interests,” Mazari said. In reply to another tweet calling out Trump over his remarks, Mazari said: “@realDonaldTrump suffers conveniently from perpetual historic amnesia!” Former foreign minister Khawaja Asif said Pakistan continues to “pay in blood” for what it did for the USA and described the bilateral ties as a “relationship of betrayals & sanctions.” “We continue to pay in blood for what we did for USA from Beda Ber to fighting wars wich weren’t ours. Reinvented our religion to suit US interests, destroyed our tolerant ethos, replaced it with bigotry & intolerance. A relationship of betrayals & sanctions,” Asif tweeted. Referring to bin Laden and his hideout in Abbottabad, Trump in an interview to Fox News on Sunday said, “You know, living – think of this – living in Pakistan, beautifully in Pakistan in what I guess they considered a nice mansion, I don’t know, I’ve seen nicer.” The compound was demolished shortly after US Naval Special Warfare Development Group forces, in a daring helicopter raid, killed bin Laden in 2011. “And we give Pakistan $1.3 billion a year. … (Laden] lived in Pakistan, we’re supporting Pakistan, we’re giving them $1.3 billion a year — which we don’t give them anymore, by the way, I ended it because they don’t do anything for us, they don’t do a damn thing for us,” he said.